Corona Regional Medical Center offers a wide variety of volunteer opportunities through three volunteer programs: Adult, Student and Hospice. Volunteers provide non-clinical support to the staff of the hospital. Duties include, but are not limited to: escorting guest, running errands, assisting patients (non-clinical), assisting staff with special projects and serving in the Gift Shop. Applications for adult volunteers, 18 years and older, are accepted on an ongoing basis and can be obtained at the Concierge Desk in the hospital's Main Lobby. If you would like more information about our Adult Volunteer Program, please call 951-736-6296. Training is held in June for high school students who are 16 years old and are enrolled in the Corona/Norco Unified School District. The first step is for the student to come into the Main Hospital lobby and fill out an interest form, which is available for signups each year from January 5th through March 31st. Application packets are then mailed during the last week of April to each student who submitted his or her name to our interest list. The first 20 students who complete and return the application will be accepted to the program. Mandatory training is required for acceptance into the Student Volunteer Program. Please note: Students do not have to reapply each year. Students who have successfully completed the program will remain enrolled by completing annual updates for tuberculosis screens and continuing education, specific to hospital updates. Students will be transferred to the Adult Volunteer Program on their 18th birthday. If you would like more information about our Student Volunteer Program, please call 951-736-6296. People come to volunteer for Hospice for many reasons. Some have had a personal Hospice experience, attended a bereavement group or have heard of the care given at CRMC Hospice. Whatever the reason, they all have a heart for helping others at a most difficult time. There are several areas where our Hospice Auxiliary volunteers help us: patient support in visiting with patients and families, making bereavement phone calls to check on survivors, office work, patient crafts and fundraising. Volunteers also assist in our Luminaries of Life event in December, which requires many hands to make it the special event that it is. Our volunteers receive a 20-hour training program that prepares them to work in any area they're interested in. Many volunteer in several areas and make great friendships along the way. If you would like more information on becoming a Hospice Auxiliary volunteer, please call our Volunteer Coordinator at 951-736-7286 or visit our website. 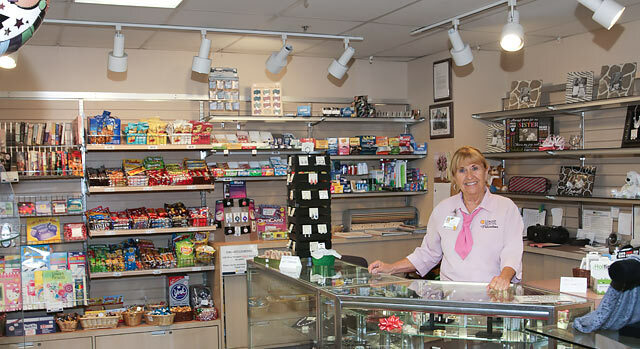 The hospital's Gift Shop also welcomes volunteer workers and is located in the hospital's Main Lobby. The shop provides a variety of gifts, flowers, candy, and personal care supplies. Cash, checks, credit cards and ATM cards are accepted. A one year volunteer commitment is required. The Volunteer Program is not recommended for someone who is seeking employment or looking for an internship or externship, as volunteer hours will not fulfill this requirement. All volunteers must have tuberculosis testing (please note: Two negative screens are required. The hospital does incur the cost for tuberculosis testing). Criminal Background checks - Once accepted to the program, the hospital does incur the cost for processing. Anyone who has received one or more convictions for a misdemeanor or felony will not be eligible to participate in the Volunteer Program. Student Volunteers must meet the criteria and fulfill all specified requirements, including mandatory attendance to all scheduled meetings and trainings prior to being officially enrolled into the program. If you or someone you know would like to become a Corona Regional Medical Center volunteer, please call 951-736-6279. We are always looking for helping hands.